These days, while a lot of my leisure time has been spent on playing cricket, I like to take a short break from it every so often and primarily to relax. For these wonderful moments, I turn towards for some unique game apps. I remember when TriPeaks Solitaire Challenge first came out, it was a popular title I spent some quality time with, because it was so special yet benefiting at the same time. Altogether TriPeaks Solitaire Challenge – Exciting Game would be another collection for zeal players. 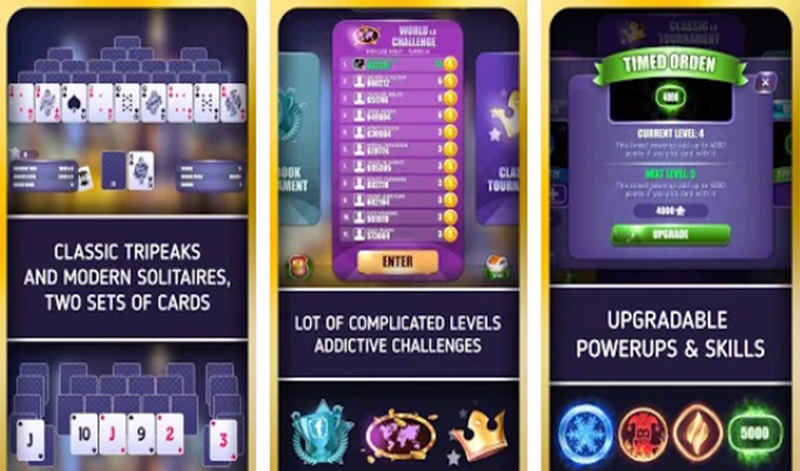 If you’re passionate fan of challenging games in general, then TriPeaks Solitaire Challenge developed by XI-ART Sp.z o.o. is one that you must check out. It would not surely disappoint. People who love tri peaks, pyramid, freecell, spider, diamond, klondike, mahjong and other classic free solitaire games would certainly play the global TriPeaks solitaire challenge. TriPeaks Solitaire Challenge would be the most powerful universal classic solitaire arena. The players could reach new skills, explore new power ups, collect gold and silver, reach achievements, open new tournaments, and become the TriPeaks Solitaire Champion of the World. The important features of TriPeaks Solitaire Challenge comprises effective QHD graphics, good sound effects and exclusive nature of the game which is superior balanced and totally free, but if people like, they could buy some packs to boost experience. The players can also have all-in-one friends integration where once connected to the Facebook, they would get not only super boost to their max hearts amount, but more friends for the competition. Every friend of yours could help you with a hearts every hour 24/7. You also have different card kinds which actually reflect their preferred options. The players could also experience many Solitaire Tournaments respectively as Classic Tripeaks Solitaire Tournament where one could primarily challenge The Globe every day. Here players would find solitaire masters of your level. Also you have World Challenge Tournament which is actually termed as the most extreme tripeaks solitaire arena you had ever before. The passionate players can always witness new scintillating conditions, new competitors and new exciting prizes every day. Additionally the players can also experience Facebook Tripeaks Tournament where they could challenge their friends and keep them in touch of your success. In playing this game you can also follow some of the useful tips namely as using bonuses to boost the score. For example taking the Timer Freeze Powerup before you play, the zeal players can get more time to play and more time bonus score in case to clear the all game field. Also by taking the Joker Card powerup, the players could get the wildcard that beat any other one. There are few levels which could be complicated, like mahjong pyramid solitaire layouts, but all of them are real so players must not give up. It is good to make fast combinations and Quick Hand is your friend on the way to high score. The players can also clean up all the cards, every cleaned Tower card would provide you 10000 bonus points. The passionate players can also keep the deck as full as possible, every card there is your bonus points, but upgraded Joker powerup would get you ever more bonus score. The primarily rule is that to play fast, time is your score points too and also play smart, be the Solitaire Champion. Eventually you can invite as many friends as you can to get more fun and more challenge. It is also quite possible to invite Facebook friends just inside the game. If you’re an ardent fan of challenging games in general, then TriPeaks Solitaire Challenge is one that you must check out this on holiday. Once you get the hang of unique things, the game is surprisingly enjoyable one. TriPeaks Solitaire Challenge is a special title I’ll be coming back over again in the future, and I strongly suggest it for anyone who thoroughly enjoys a challenging game. 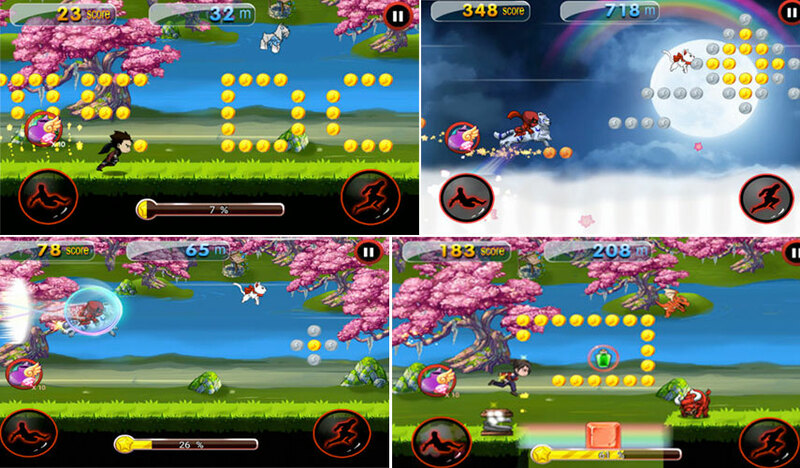 Dragon Ninja is the magical game and you can become the king and queen of the game. Win a victory of the Ninja master and join the wonderful game relevantly. The challenge is to collect gold coins against others and get the victory.slide and jump through the challenging level is the main tact of the game. You can gather mounting animals and pets in the game as well. This is a new style of first paced game and it tests your flexibility and skills. Gain the excellent Ninja game and become the winner of the challenge. Challenge the world wide players through your best skills. How to play the Dragon Ninja Game? Tap and jump the obstacles in the game. Gain power ups and unlock new character heroes. Amazing action, perfect for children and adult. This game is very creative and anyone can enjoy this game. This game is easy to access through iphone and other devices. You can play with the players worldwide. This will give an adventurous outlook and you will be glad to log in for this game. There are various stages you can play and win the game. There are different games and main winning trick is jumping and sliding. You can play this game online, anytime and anywhere. Discover the world of new games and get the victory. You can play I and win it. This is the interesting game played by players globally. Experience the unique game and make sure to play it right. The Ninja game is very popular and gives you joy and adventurous game strategy. You will get the interesting game experience and can learn the steps online. There are umpteen numbers of Ninja games online and explore the fun unlimited. Play this game and experience the endless fun. You will really like this fantastic game and get all the guidelines online. Download this game on your mobile or laptop and you can sign in to unlimited opportunities for fun. These fantastic games are available online and you will get the victory and able to collect more coins and win the game. 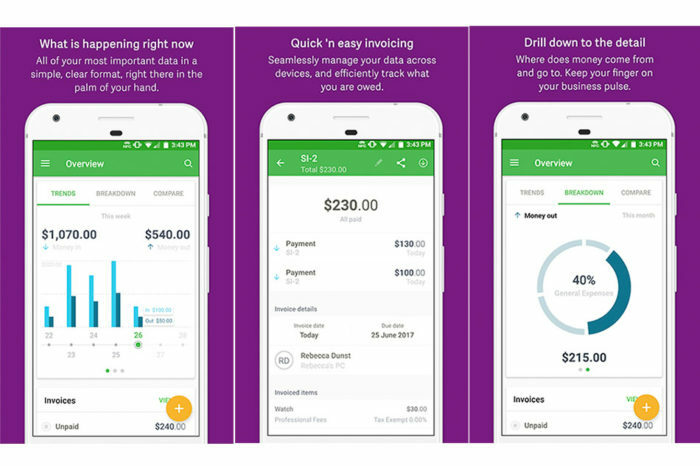 Sage Expenses & Invoices is an expense management app that easily allows you to manage your expenses efficiently and boasts many features. Designed for micro and small businesses, Sage Expenses & Invoices takes the worry out of keeping track of business transactions as it’s accessible and easy to use. It doesn’t require advanced IT skills or any accounting knowledge, it’s just a simple to use app. With straightforward features like ‘Money-in’ and Money-out’ rather than complex accounting jargon, monitoring your expenses is easy. Sage Expenses & Invoices allows you to take photos of receipts as proof of purchase and all your important information is stored in the app and in the cloud, so it’s kept safely together for whenever it’s needed by you, your admin support or your accountant. Sage Expenses & Invoices easily integrates into Sage One if your business activities grow and as part of the renowned Sage suite, Sage Expenses & Invoices offers customer support via email, phone or live-chat. The app comes with its own knowledge base, FAQs and manuals to help you with many questions and enquiries. CASTLE BREAKOUT- A MAGICAL CASTLE EXPERIENCE! Nowadays, escape room games are gaining so much popularity in the real life but, to experience that fun and entertainment in a virtual setting will be a blast. Isn’t it? You might have played those kind of puzzles in your childhood life but today you’ll be familiar with an escape room game which is unique in style as well as theme. However, it offers the same type of experience, but the difference is that you don’t need to move yourself from one place to another. Actually, you need to find the things placed in different rooms which will be shown on your mobile’s screen and solve the puzzles to escape the room. This online game which is called Castle Breakout has been developed by the Cloudburst Room Escape, LLC and updated on 08 September, 2017 with a few improvements. You can play this app on your device which can be either iPhone, iPad and iPod touch having iOS 9.0 or any later versions of the Operating System. This app also works with the Apple TV. Castle Breakout has set the highest new standard for the room escape genre this year. To begin with Castle Breakout, you need to download the app and install it to your device. 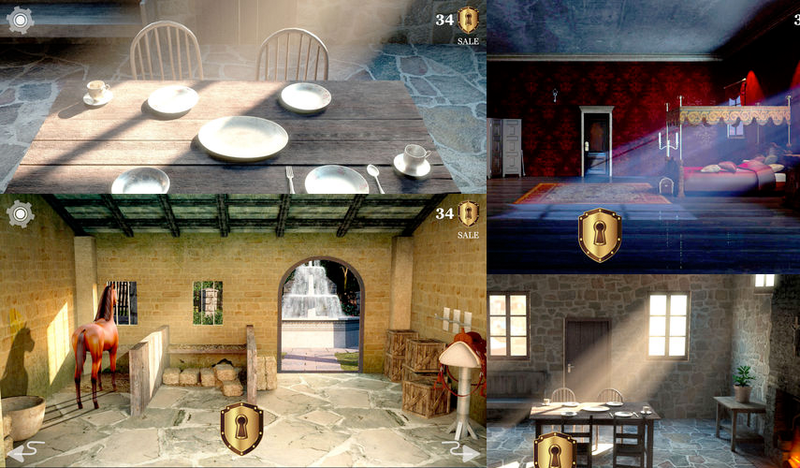 If you have played room escape puzzles earlier than you’ll not find any problem in playing this virtual game also. The rules and the objective of the game is very simple to understand. You know that some forge steel, other do battle with swords, but here you’ve to act as a security expert whose main task is to make sure that the castle is safe. There are so many rooms and the Throne Room is just awesome of all those rooms. Your mission is to escape through the locked rooms by solving tricky puzzles with swords, spears, potions, pots, crowns, and more. The levels are interconnected so that the players will now find objects in rooms that will not be used until later levels. You’ve to find the right clues and hints in order to solve those puzzles if you want to escape out of the rooms. The objects are in front of you, but you have to identify them and then locate. The game seems to be very easy in the beginning, but as you move further it becomes more challenging and difficult. The app offers high level graphics and engaging puzzles which gives your brain an exercise. The sound effects of the game are real. As this is a medieval retro art style puzzle game so it’s unique from all other puzzle games. It gives you a natural experience because you can almost feel the surface of each object when you click on them. So I would say that Castle Breakout is a game which is easy to begin but hard to put down. It’s a game that should have in your ‘how to escape’ game collection! The app is available for free on the App Store. However, there are some levels which you can unlock by paying a little penny. So go for it and enjoy this magical puzzle! Pros: best game in the escape room genre; easy yet challenging; intricate clues and puzzles; so many levels; based on fun & entertainment; the intuitive UI; brilliant 3D graphics; realistic sound effects; unique theme; free. In today’s review we have a sequel to the famous series Defense Zone 3 HD, which was first developed in 2011 and became a kind of cult for many. With new weapons, new features and even more comfortable gameplay, Defense Zone 3 HD is gaining more grounds on android and iOS based devices. The latest update came around after fans demanded bread and spectacles which lead Defense Zone to gather around a friendly community of players and developers and the result of the efforts was Defense Zone 3 HD. Defense Zone 3 HD differs from its predecessors with expertly verified balance, improved graphics and special effects, as well as a more thoughtful interface. Below are some of the new features you are going to enjoy from the game. 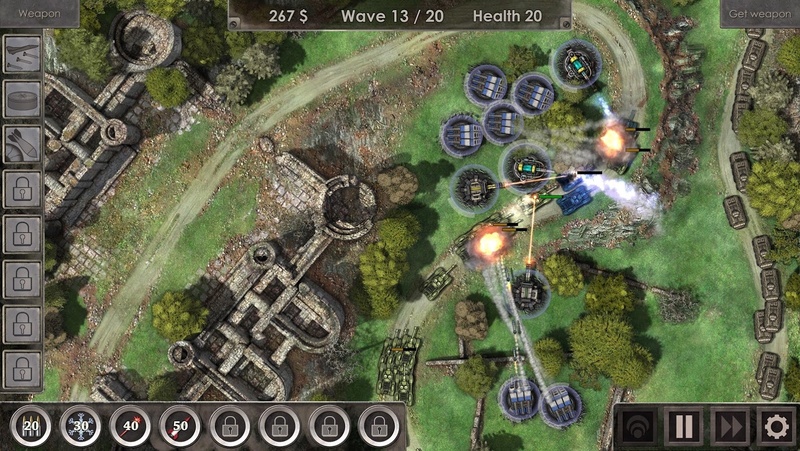 Defense Zone 3 features a variety of opponents – numerous, but “fragile” infantry, brutal tanks, futuristic fighting walking robots, nimble fighters, dissecting the waters of the cruiser and frigates. All three elements are involved – water, land and air. Accordingly, the defensive structures are “sharpened” to destroy their “own” enemy. Machine guns, the most accessible weapons, quickly “mow down” the infantry and cope with lightly armored targets. Rocket installations are most suitable for the destruction of tanks, aircraft and ships. Lasers work on armored ground and air targets. Flamethrowers gaily burn everything that falls into the radius of their action. Futuristic weapons such as, guns firing liquid nitrogen (slowing the enemy), combat generators of powerful lightning (electric discharges). Each type of weapon has its own peculiarities and methods of application. For example, liquid nitrogen does not fit well with flamethrowers, and machine guns can not hit air targets. 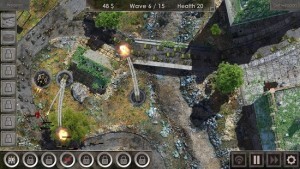 Each defense facility in Defense Zone 3 has been improved. The power of the “tower” after the upgrade is doubled and the radius of action increases slightly. It is necessary to decide whether to build a new missile system or to upgrade the existing one. After the first upgrade, each security building has a button “Hellfire”, temporarily increasing the power of the “tower”. 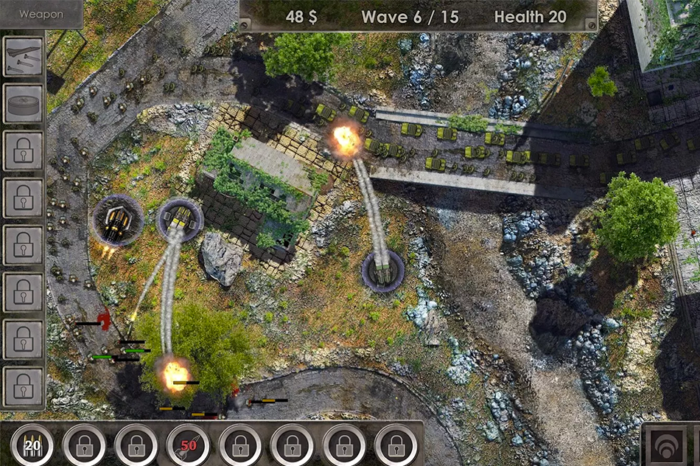 In addition to the towers, Defense Zone 3 has the ability to hit the enemy with additional weapons and support – air strikes, minefields, nuclear missiles and even dark energy! These bonuses are obtained during the battle or are bought for coins. Coins can be bought through built-in purchases or get free of charge in exchange for viewing advertisements. Defense Zone 3 has a fair tactical depth. It is important not only to correctly place the towers, but also to balance the construction of the new or upgraded towers so as to change low-powered machine guns in time, for example, to rocket launchers. 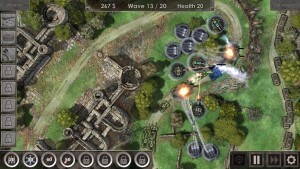 The player also has the opportunity to customize the tactics of each individual machine gun or laser. For example, it is possible to single out a pair of rocket launchers that will only hit air targets, and the laser will be forbidden to shoot at anything other than enemy ships. Each “tower” can be configured to defeat different types of targets – optimal, closest (to the exit / tower), strong and weak. Such a number of modifiers of your defense’s behavior will come in handy at serious levels, where opponents of the rod are crowds from different directions, and even on all possible fronts – from air, water and land. If you’re looking for a tactical depth, luxurious graphics, minimum advertising and completely optional built-in purchases, then Defense Zone 3 HD is an excellent choice for your smartphones and tablets based on Android and iOS. The gameplay is dynamic, requiring attention and sometimes exciting enough that it’s impossible to break away. VIPole is a secure, instant messenger developed for secure communication. Businesses operate with sensitive and confidential data on a daily basis and communication between its team members needs to be secure. Whether it is discussing financials related to a new proposal or sharing contracts between different departments, businesses cannot rely on just any app available in the market. Only a tool that focuses on high data security and protecting privacy can meet the stringent requirements of an enterprise. VIPole application is created for secure messaging, video, calls and file sharing. The app can be used by individuals as well as by teams or even larger enterprises. 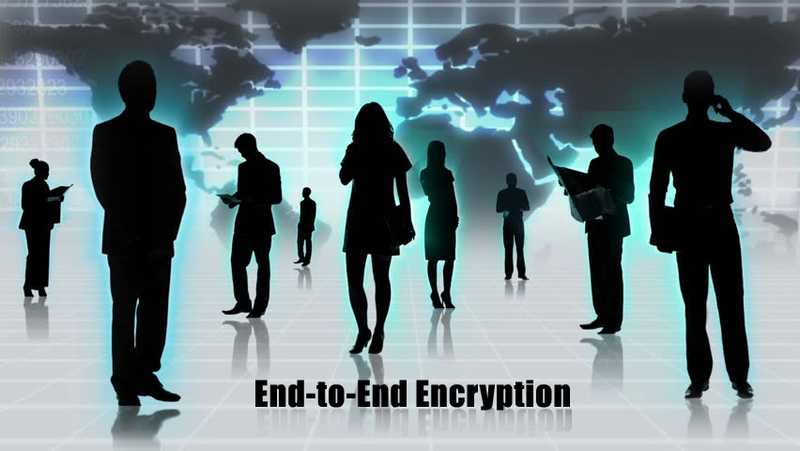 An end-to-end encryption ensures that all the data stored and transferred within the app is secure and remains protected at all times. VIPole’s greatest advantage is that it has been designed keeping in mind the business user and that is why it places a lot of importance of maintaining security. 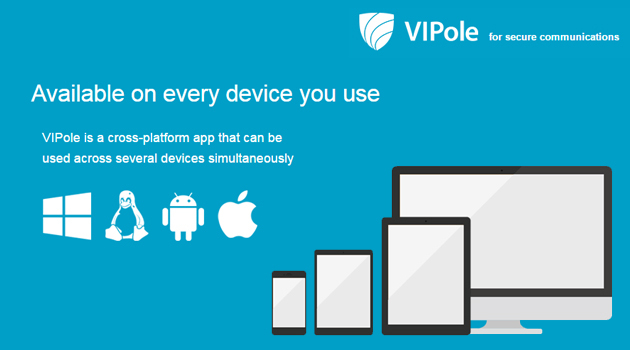 VIPole is available for download on multiple devices including smartphones, tablets, laptops and desktops. It supports multiple operating systems including iOS, Mac, Android, Windows, and Linux. It can be installed and set up for use on any device quickly. The app allows you to encrypt your profile by creating a password, ensuring your data and communication is secure. Overall, VIPole is an excellent app for business users who need a secure, robust messenger to communicate with each other.